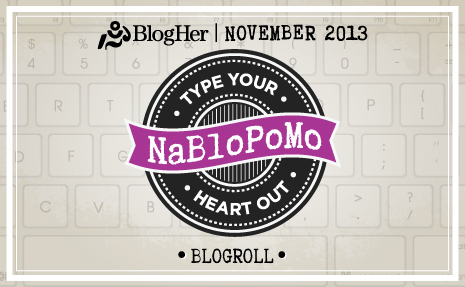 November means two things to the writing world: NaNoWriMo and NaBloPoMo. What am I talking about? National Novel Writing Month and National Blog Posting Month of course! Last year I went for NaNoWriMo and wrote the first draft of my novel (which I confess is still simmering somewhere in the back of my mind and still hasn’t seen the light of day). It was a really good exercise in discipline, and I certainly wasn’t bored at any point during the month! NaBloPoMo actually happens every month (and I did participate in July 2009), but November is the only month with no theme, so it’s become somewhat special. So, this month I have decided to have a go at NaBloPoMo. I already post daily over on Picturing England, but for the month of November I will attempt to post every day here on Haikugirl’s Japan. I’m actually quite behind on my blog posts, so this will be a good opportunity for me to catch up! I can’t promise that every day will be a mind-blowing essay of deep intellect, but there will be something every day.